Geoff Upton in World Affairs on 31 January, 2016. Has Vladimir Putin’s assertive foreign policy provided him with a distraction from domestic economic problems? If this statement holds true of a lone bohemian nightclub, it does not hold true of the country as a whole. Despite a contracting Russian economy and increased economic hardship for the middle-class, Vladimir Putin’s popularity has continued to rise, reaching a record high of nearly 90% in late October. But much of this popularity surge can be attributed to the President’s recent shows of military strength; first in Ukraine and more recently in Syria. Russia’s deteriorating economic outlook has been overshadowed in the news by hype around Putin’s crusading foreign policy, and Russia’s perceived return to world superpower status. Successful politics in Russia, therefore, is entertainment. As long as Russians at home can be distracted from their own financial woes by daring manoeuvres on the world stage, Putin’s grip on power will surely hold. On the other hand, this kind of entertainment doesn’t come cheaply. While Russia’s military expenditure as a percentage of GDP has greatly increased in recent years, vital social spending programmes such as healthcare and education have taken the back seat. Predicting Russia’s political future is notoriously difficult. But the devil is in the detail. The Russian economy’s lack of diversification leaves it exposed to oil market shocks. While Russia retains a low level of gross government debt and expansive fiscal reserves, low oil revenues have blown a hole in the budget, forcing it to dip into its Reserve Fund in order to make the books balance. With this fund expected to be fully depleted by the end of 2017, greater cuts to social spending are not far off. Meanwhile, inflation is at 15%, and real incomes are on a downward slope. As more budgetary compromises will have to be made to service the government’s debt, Vladimir Putin’s challenge will be canvassing popular support despite belt-tightening and funding cuts to core social programmes. So far, Russians have been happy to let their straight-shooting President distract them from the problems they face at home. But if social and economic woes become too pronounced, other bars may begin to follow Redaktsia’s example and mute their own TVs. 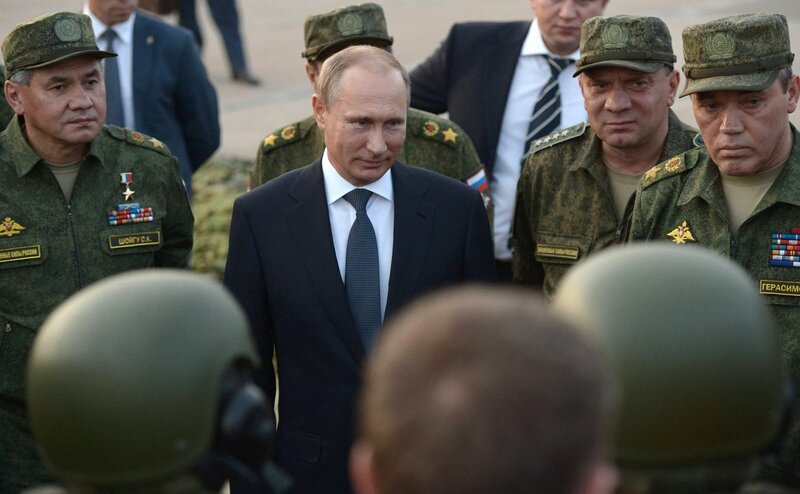 In that eventuality, Putin’s grip on power could well experience its greatest test to date.